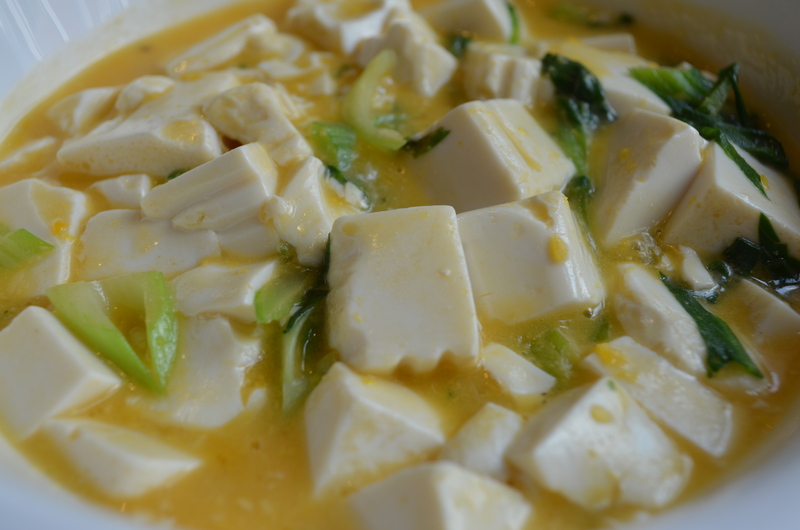 The first thing I’d heard about Yun Se was how cheap it was, in particular its 2RMB tofu dish. My friends Winston and Jessica were pleasantly surprised by its affordability, couple with tasty food in a clean, well-designed setting. When I saw it for myself, the relaxed, wood-heavy décor was indeed a nice touch, especially since other Chinese restaurants as large as Yun Se don’t generally pay attention to providing a visually comforting aesthetic. The thing about the prices is true. 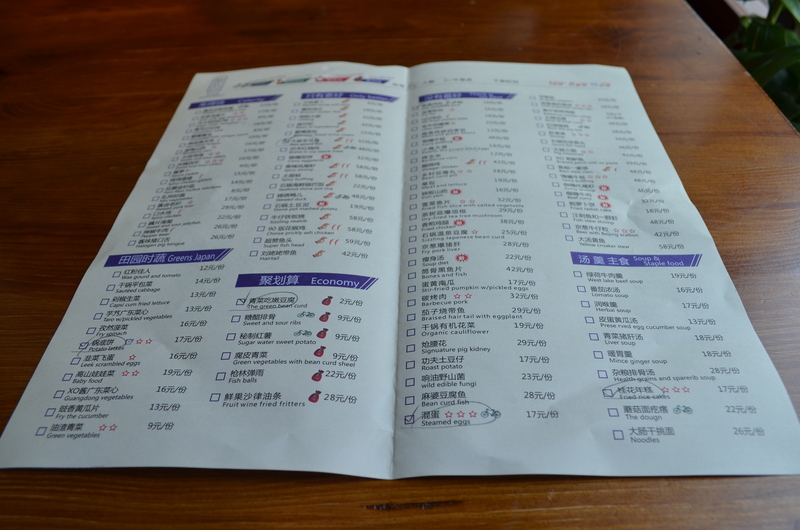 The Google-translated and amusingly-labeled menu starts at a ridiculous 2RMB (青菜吃嫩豆腐, ‘the green bean curd’), and goes no higher than 59RMB for the ‘super fish head’ (超赞鱼头), with most dishes are in the 20RMB range. 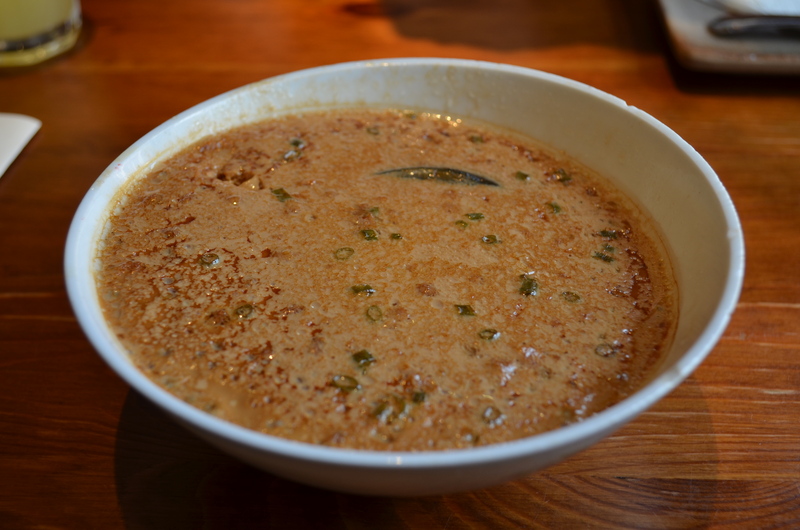 I was a big fan of the steamed eggs, each bite a punch of salty and savory, the soy-sauce-infused egg hiding half of a thousand-year-egg and a bed of minced pork. Nothing hotter than egg-on-(thousand-year)-egg action. Oh yeah. The cheap tofu thing in retrospect is kind of gimmicky – more of a conversation piece about Yun Se’s price point than something I’d order again, but to be fair, it’s a very old-school countryside-style dish, so in that sense, it’s probably not meant to appeal to jerks like me, without the sense of shared nostalgia. 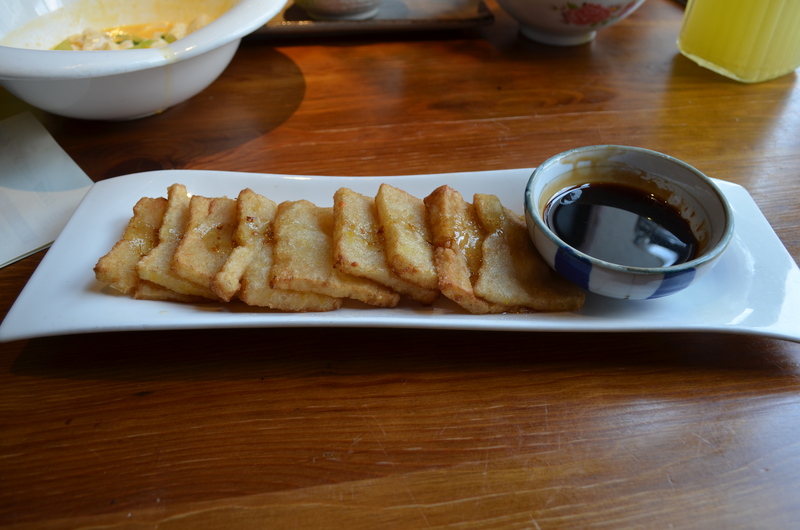 The rice cake with osmanthus flower and dark caramel was good, but it came when we were craving more savory (the order of dish presentation being overall a pretty heinously overlooked aspect of Chinese restaurant service). 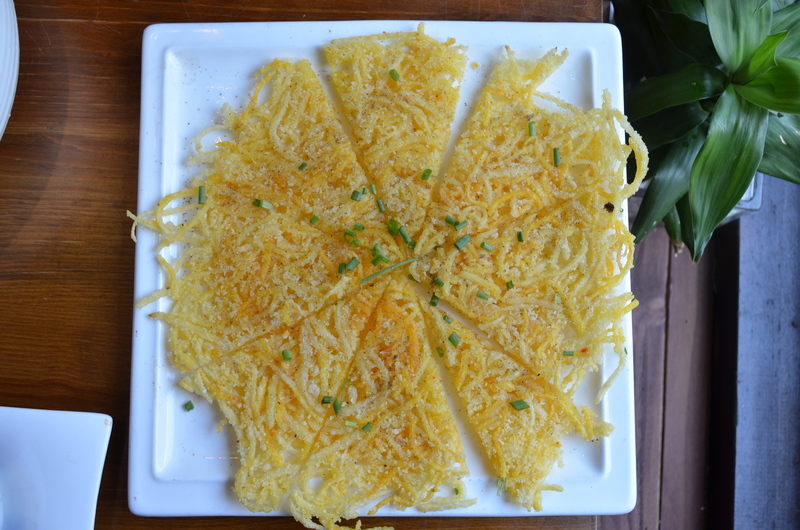 This fried potato pancake was decently crispy, though we were distracted at this by the steamed egg and our next dish. 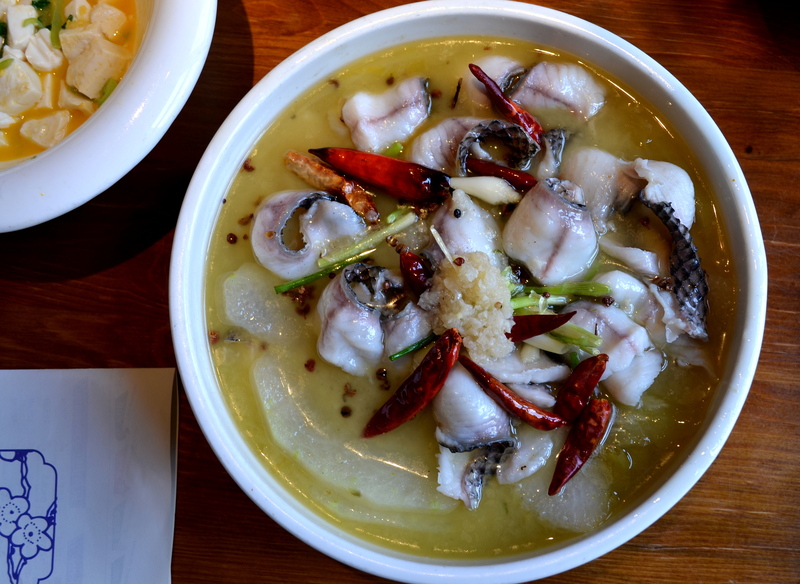 The ‘wax gourd fish’ was basically a delicious soup of tender fish slices and winter melon that hold very well the broth’s hearty flavors (the latter especially), enhanced with a handful of dried chili peppers, Sichuan peppercorns, scallions, and garlic paste. As another testament to service difficulties, the last dish, a decently seasoned fish-fragrant stir-fry julienned pork and vegetables (with crunchy bamboo shoots for texture), came so long after we’d gotten our previous dish that we hardly had any room left, having spent our time working through the wax gourd fish. 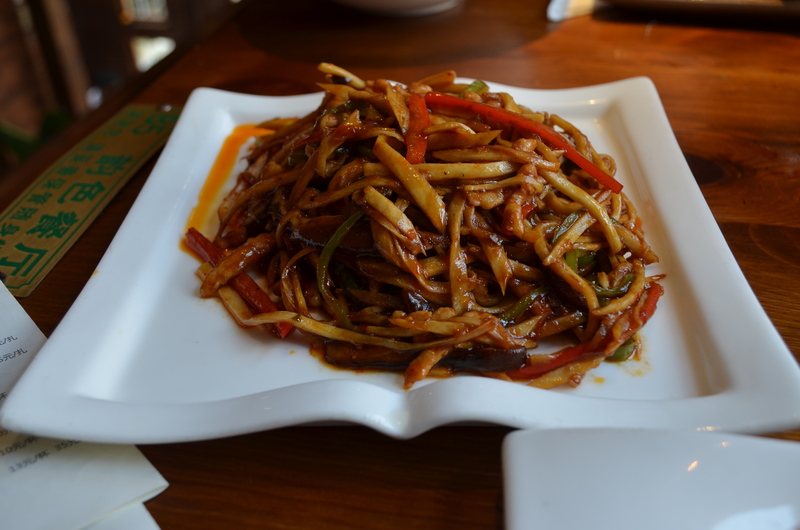 All in all, especially given how cheap everything was – I mean everything: our favorite dishes and the other, less well-received ones as well – Yun Se was quite a bargain. The menu is not regional, instead drawing on a host of home cooked (or otherwise broadly Chinese food) classics (such as sweet & sour ribs, braised pork, sauteed cauliflower, etc.). Not only that, the setting for once wasn’t something you had to look past to enjoy your meal. 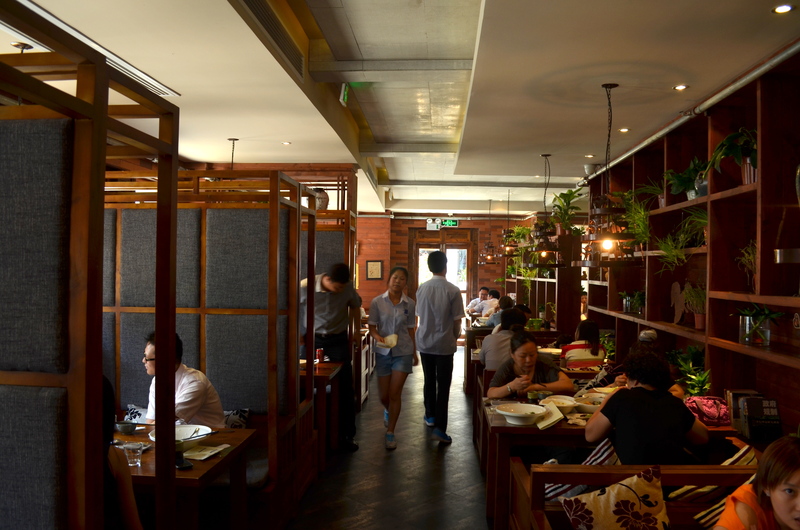 With our window seat overlooking the quiet afternoon street in the Laoximen neighborhood, and the extensive library-with-potted-plants look of the space, we felt quite comfortable in our corner.